Available from the Fire Protection Shop is the FireShield Fire Door Retainer which is a wireless fire door stop which legally holds open the fire door until the fire alarm sounds. 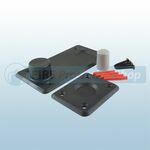 Also available is the FireShield Fire Door Retainer Floor Plate which is used to secure the FireShield Fire Door Retainer on smooth or slippery surfaces. 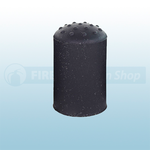 You can also purchase the FireShield Fire Door Replacement Ferrule which is a direct replacement rubber ferrule for the FireShield Fire Door Retainer.